Andy Tennant has experienced many of the highs and lows of life, on and off a bike. From being diagnosed with a heart disease and battling weight problems as a youngster to fulfilling his dream of becoming a professional athlete in one of the world’s most demanding sports. From being crowned a World Champion on the track in Melbourne early in 2012 to suffering the disappointment of missing out on selection for the final ride at the London Olympic Games just a few months later. His experiences, and out-going personality, have made Tennant a popular public and motivational speaker for a wide variety of audiences, from junior sports clubs to corporate business groups. As a World Champion at the specialist track cycling event of the Team Pursuit - in which he is in contention for a place alongside Sir Bradley Wiggins on the 2016 Olympic team - Andy is uniquely placed to talk about team work, as well as individual achievements, at the highest level of international sport. Andy’s brush early in life with a heart problem - supraventricular tachycardia (SVT) - has led to him becoming an Ambassador for the British Heart Foundation and he has become one of the charity’s most in-demand personalities. But he is equally at home in front of any audience, whether presenting prizes to youngsters at his first cycling club Wolverhampton Wheelers or addressing business executives in a non-sports setting. "As a brand ambassador, Andy has been a dream to work with; he’s got endless enthusiasm and is approachable and professional. From leading rides and giving talks to providing images and quotes from inside the pro peloton, nothing is too much trouble and he’s always got ideas for new ways to engage our customers. 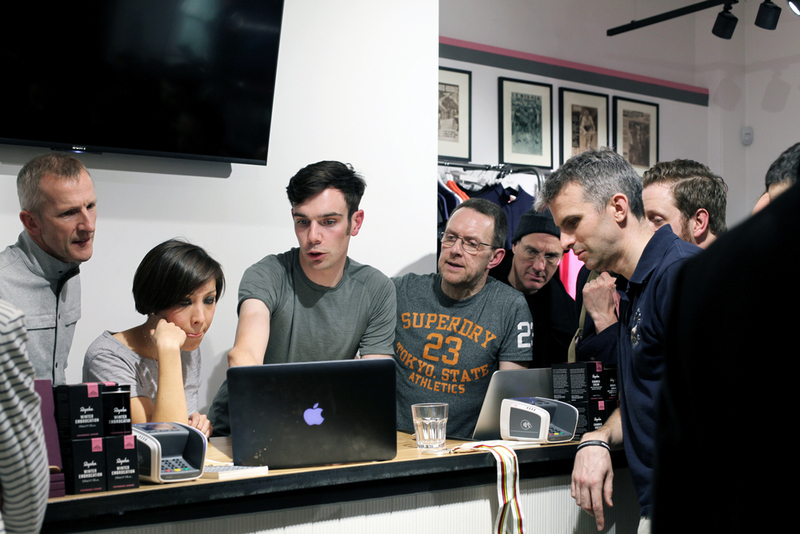 Andy’s talk in our Cycle Club in London was one of the best we’ve had yet. He’s entertaining, interesting and very candid about his professional life and the cycling world. Our customers enjoyed it so much we’ve asked him to do another one in our Manchester shop." Laura Bower, Head of UK Marketing at Rapha.